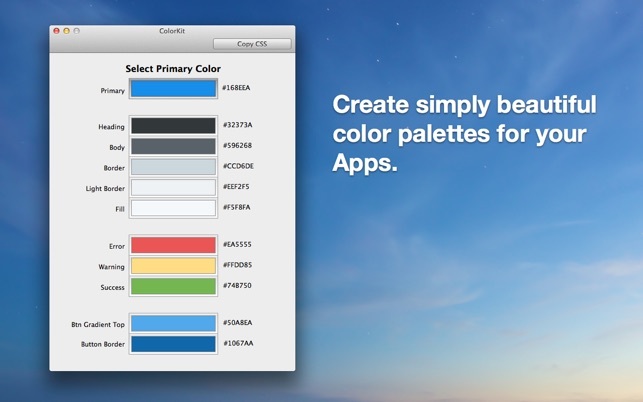 Ever wondered what colors to choose when creating a new app or designing a website? 1. Choose the primary color you want for your UI. 2. A boilerplate of fitting colors is then generated ready for you to use. 3. 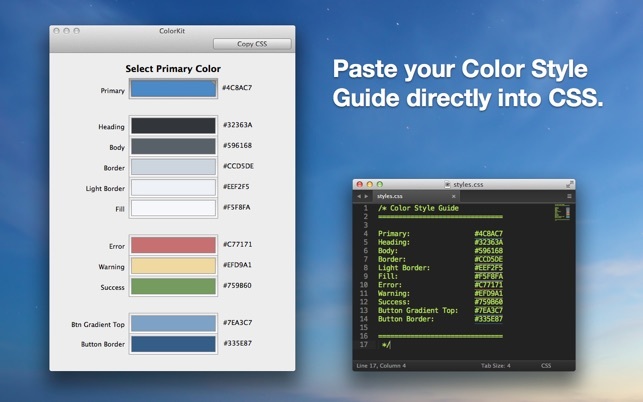 Copy the Colors Codes to your Clipboard and paste the style guide into your CSS. 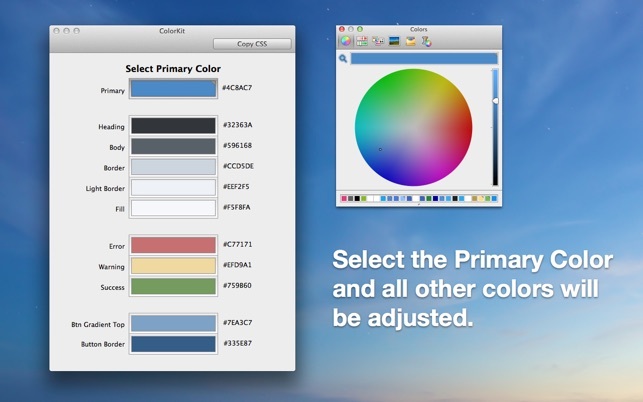 - You get variations of the main color well suited for creating buttons with gradients. - You get dark and light colors ready for header areas, standard typo, neutral backgrounds and border colors. - You get fitting error, warning and success colors tone.